Fitbit is continuing its push into the healthcare market with the hiring of a new vice president of Digital Health. 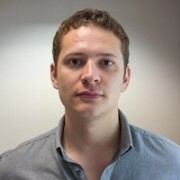 Adam Pellegrini will join the company from international pharmacy chain Walgreens Boots Alliance, where he led the company’s largest retail mhealth integration of more than 1 million connected devices. 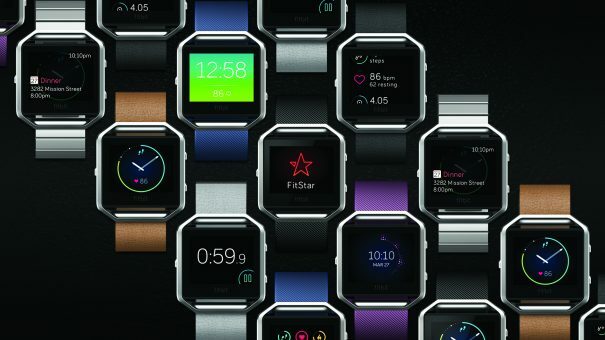 He also launched that company’s first integration of wearables through its Balance Rewards scheme, and Pellegrini will be charged with bringing commercial expertise and new revenue streams to the largely tech-focused Fitbit. Starting his new role on 9 September, Pellegrini will take the lead in Fitbit’s push into healthcare, helping connect its products, data and insights to new clinical settings as well as building partnerships with healthcare systems, pharma companies and medical device providers. “Over the past nine years, we’ve enabled millions of people around the world to lead healthier, more active lives by helping them to be more active, sleep better, eat smarter, and manage their weight,” said Woody Scal, chief business officer of Fitbit. “These are some of the very changes healthcare systems and disease management programmes encourage people to make to help prevent or mitigate chronic diseases such as diabetes, hypertension and obesity. Pellegrini said Fitbit was in a unique position to help improve health outcomes by incorporating its innovative technology and user engagement into clinical healthcare programmes. Market data suggests that Fitbit is indeed the market leader in the health wearables field, despite earlier predictions that the Apple Watch would overtake it. Data released in May by Kantar Worldpanel ComTech found Fitbit controlled just over 61.7% of the US market, with the Apple Watch accounting for just 6.8 percent. “I’m a passionate believer in the power of digital health technology to improve the effectiveness, efficiency and reach of our healthcare system,” said Pellegrini. The latest appointment show’s the firm’s clear intention to gain a stake in the burgeoning market for real world data collection to support healthcare outcomes monitoring. In April, the company announced its desire to follow rival wearable companies into the healthcare market with CEO James Park expressing his belief in health wearables as the next step in healthcare provision. There are some obstacles that may hamper Fitbit’s healthcare venture however, especially in terms of the regulation of its products. Currently classed as a ‘general wellness device’, the Fitbit is not regulated by the US Food and Drug Administration (FDA), however it will start to be if and when the Fitbit claims to diagnose or treat conditions. The Fitbit is currently being investigated in over 200 clinical studies in conditions ranging from breast cancer to heart disease.